This comes down to two things – the menu offerings and YOUR food choices. Sugar highs and lows are one small example of how food can affect the way you feel throughout the day. Have you ever given any thought to how our eating habits and specific foods can make us feel happier, more energized and even mentally balanced throughout the day? 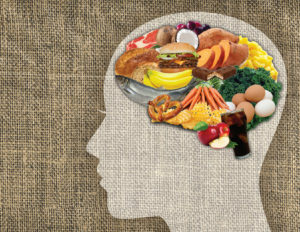 Food plays a larger role than you think in influencing your mood. Here are some nutritional strategies to help with using food to balance your mood and energy levels. Eat Regularly. Eating regular meals and snacks at the same times every day helps keep your blood sugar levels steady. Eating at regular intervals helps to ensure that your body has a continuous source of fuel, and this may assist in keeping your mood stable. Don’t Skip Meals. Though it may be easy to rush out the door without breakfast in the morning, the doctors say that this is a bad habit. Skipping meals can make your body less able to assimilate food and you are more likely to overeat at the next meal. If you keep yourself from getting too hungry, you may also be able to avoid a bad mood. Know What Foods to Avoid. Before you can eat mood-boosting foods, it's necessary to educate yourself on the foods to leave off, or limit. The foods that are most likely to contribute to a bad mood are refined carbohydrates, such as sugar. Junk foods such as candy or soda, as well as everyday foods, like fruit juice, syrup and jams, can cause a spike in blood sugar followed by lows which creates instability in your mood. Refined white starches such as white rice, white bread and crackers can have the same effect. Junk foods might satisfy everyone’s Tastebuds at times, but the benefits are short-lived and will not help your mood. So what foods boost your mood? Proteins. Including protein in your meals will help to slow the absorption of carbs into your blood, thus increasing the release of dopamine and norepinephrine, which would improve your mood and energy lasting for several hours after the meal. Vitamins. A few vitamins stand out when speaking about your mood. For example, vitamin D can help relieve mood disorders, such as seasonal affective disorder. Sunlight, before you apply sunscreen, is often the best way to get this vitamin. Vitamin D can also be obtained by eating different foods as well. Being conscious of it all. It’s clear to us that the relationship with food and your state of mind is a strong one. When you eat the foods that are most likely to put you in a good mental place AND you eat on a regular schedule, you can be sure to put yourself in a position to allow food to have a positive affect on your well-being and state of mind. Additionally, you can avoid the foods that make you feel worse. This is something that can really affect kids AND staff members summer while at camp. You have the power to make the choice to set yourself up for mental success and help other to open their eyes to doing the same. Camp is all about sharing and caring, so pay attention to your food. The menu – leave that up to the professionals to offer you a well-rounded, nutritionally balanced menu at camp. Vegans and Vegetarians – bridging the protein gap for kids.